Take a Step Back in time…. 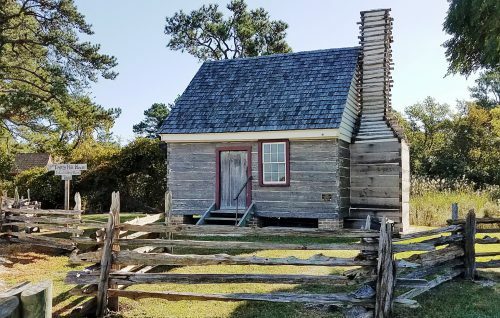 The Captain Timothy Hill House, the oldest known house on Chincoteague Island, was built circa 1800 and is an excellent example of an early style of architecture. The log plank construction was typical of the time but few examples have survived. Settlement of Chincoteague began in the late 1700’s. By 1838 there were 26 homes on the island. This is the last known survivor of those 26 and one of only 2 known buildings still standing in Virginia that were built to have a wooden chimney. The replication of this early chimney has been added so visitors have a more complete look at how our early ancestors lived. Restoration began in 2010 by owners, Louisa Flaningam and Paul Brzozowski. 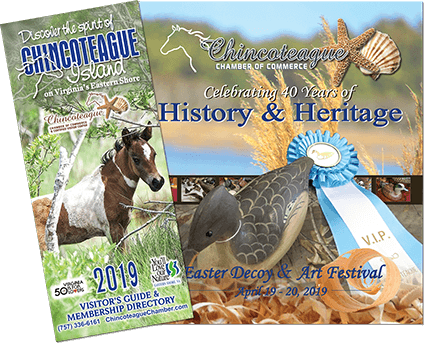 In 2011, the house was honored with listing on both The National Register of Historic Places and The Virginia Landmarks Register…a first for Chincoteague. The Captain Timothy Hill House sits at 5122 Main Street. Open Fridays from 1-3 pm during summer season and also Wednesdays from 1-3 pm in July. Docents are there to tell the story. For more information call 973-831-5961 or 914 589-7733. Email pjandlouisa@verizon.net for group tours or a private event. Check us on Facebook. Come hear our own tragic Romeo and Juliet story related to this house and also witness the unsolved mystery of who carved the sailing ships into the exterior logs. The owners charge no admission but donations are greatly appreciated to help with the continuing care of the house. A visit to the Hill House is a step back in time into a typical home of the early residents of Chincoteague Island. It’s not just a look at history but a chance for you to stand inside history!